There's a new pattern in the shop: Dalahäst - Swedish Horse. I've wanted to make a Swedish horse pattern for absolutely ages! As you may know, I'm from Denmark which is very close to Sweden. But far enough away that some of their culture is quite different and sometimes pretty exotic to me. 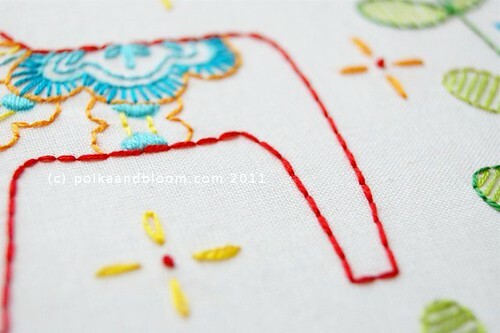 The Dala horse isn't that exotic - I've grown up seeing the image. But I am really in love with the horse design. If only I could afford the real thing, they are so pretty! 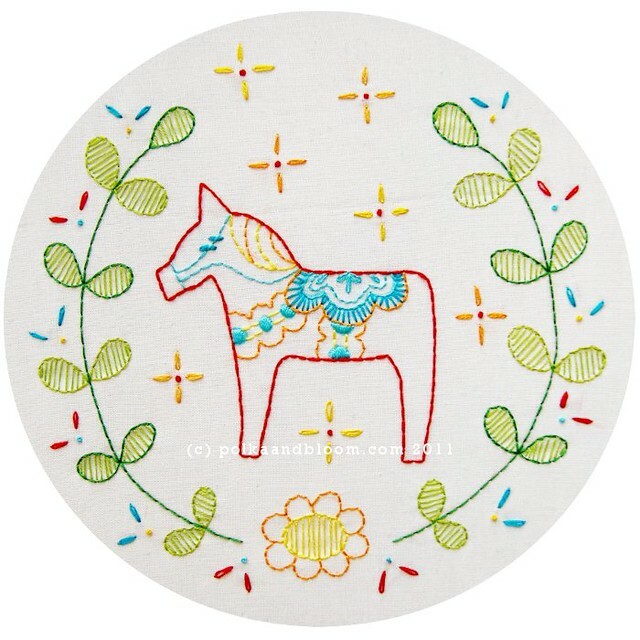 Anyway, the Dala Häst pattern is more of a collection, based on the horse design, so there is a different version of the pattern and some extras too. 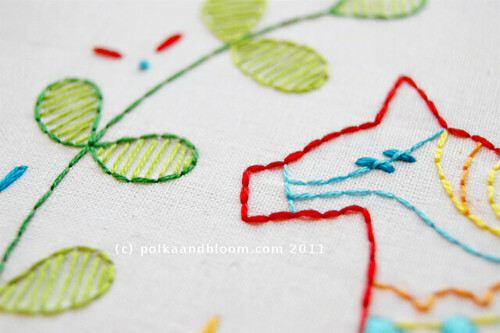 All good fun if you want to stitch up something with a Scandinavian feel! this is so gorgous! 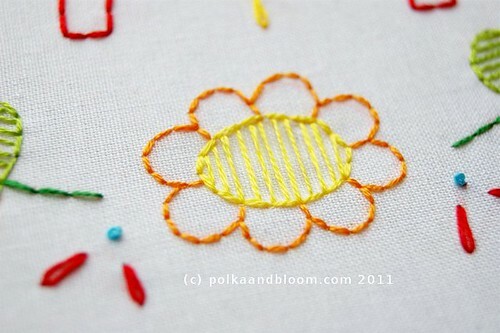 I assume you do this by hand...it's amazing!